A Blacksville, WV man was killed in a collision with a coal truck in Monongalia County when his pickup truck crossed the center line on the Mason Dixon bridge. 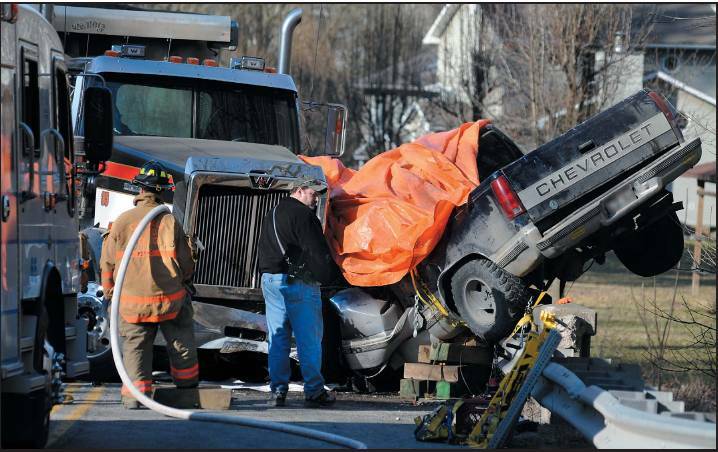 West Virginia Highway 7 was closed for several hours as emergency crews responded to the truck accident. The driver of the coal truck, who was hauling coal from the Blacksville No. 2 mine to Longview Power Plant, is in good physical condition. The cause of the fatal driving error is not yet known. If we can be of any further assistance to you, it would be our pleasure to speak with you personally about injury claims. You may reach us at http://www.robinettelaw.com and http://www.robinettelaw.com/Car-Accident-Injuries/ or call our law office at 1-304-594-1800.